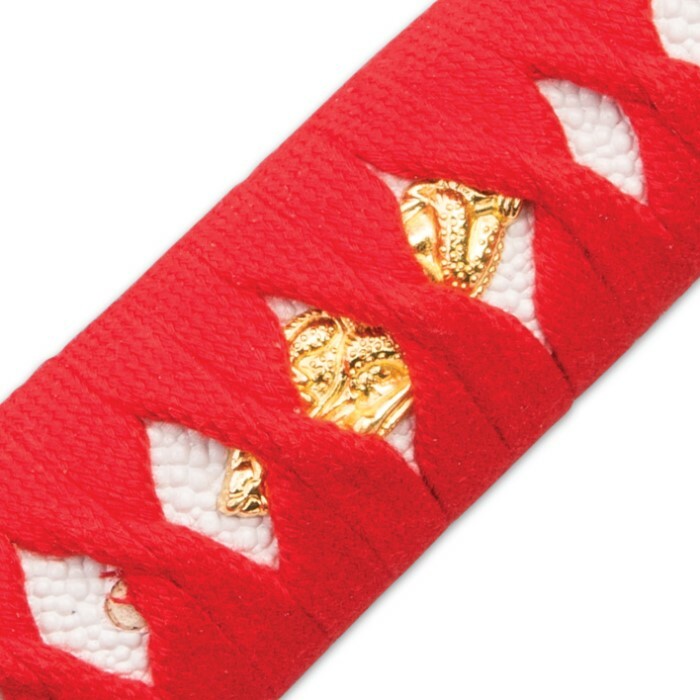 A highly detailed work of art depicting vivid red and black koi fish adorns the white lacquered wooden scabbard of our Kijiro Koi Fish Katana. 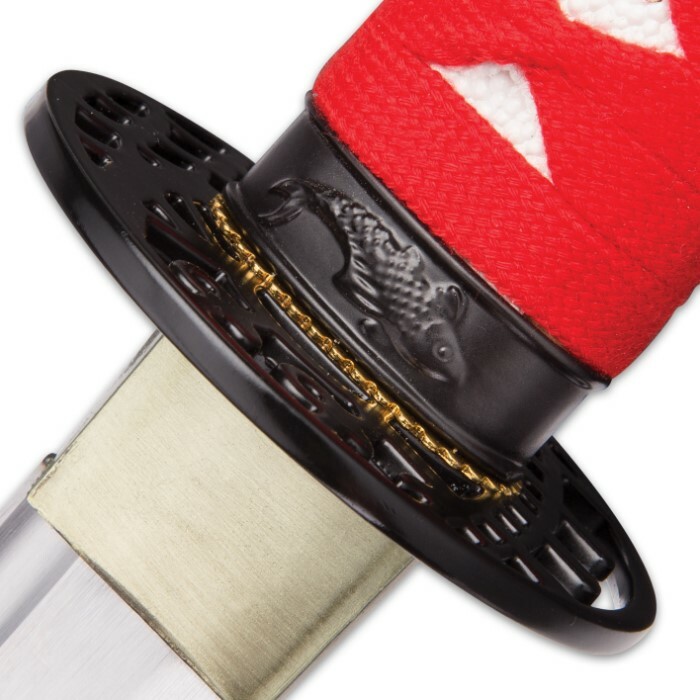 You won’t see a more elegant display sword for your home or office! 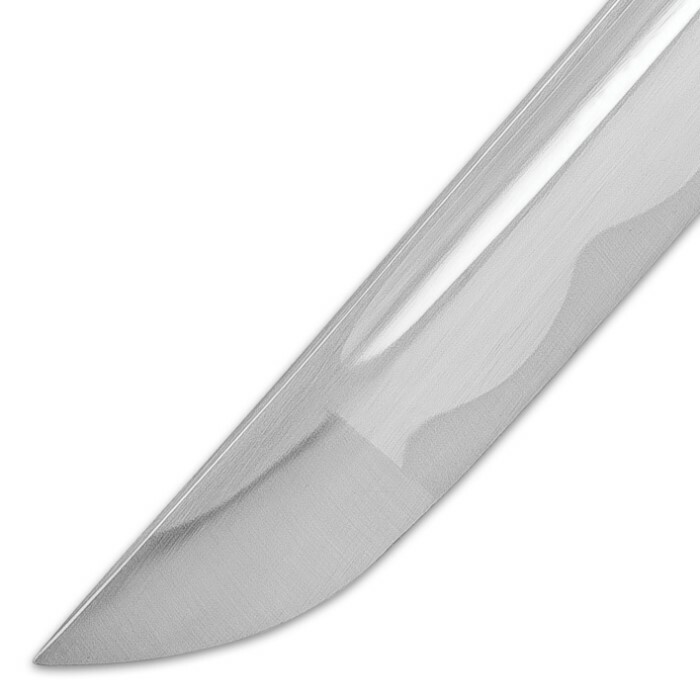 It has a razor sharp 28 1/2” high carbon blade with a blood groove, which leads up to a brass habaki and black metal, open-work tsuba. 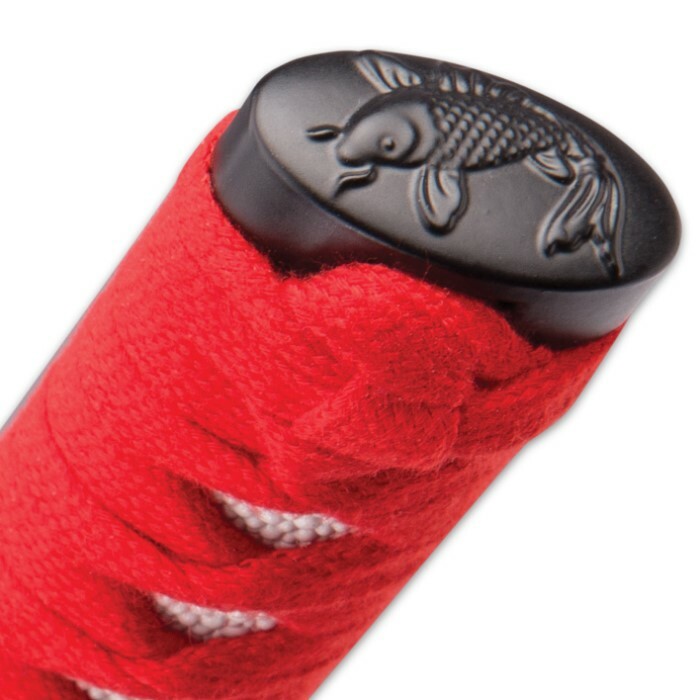 The faux ray-skin wrapped handle is also traditionally wrapped in red cord which complements the striking scabbard. 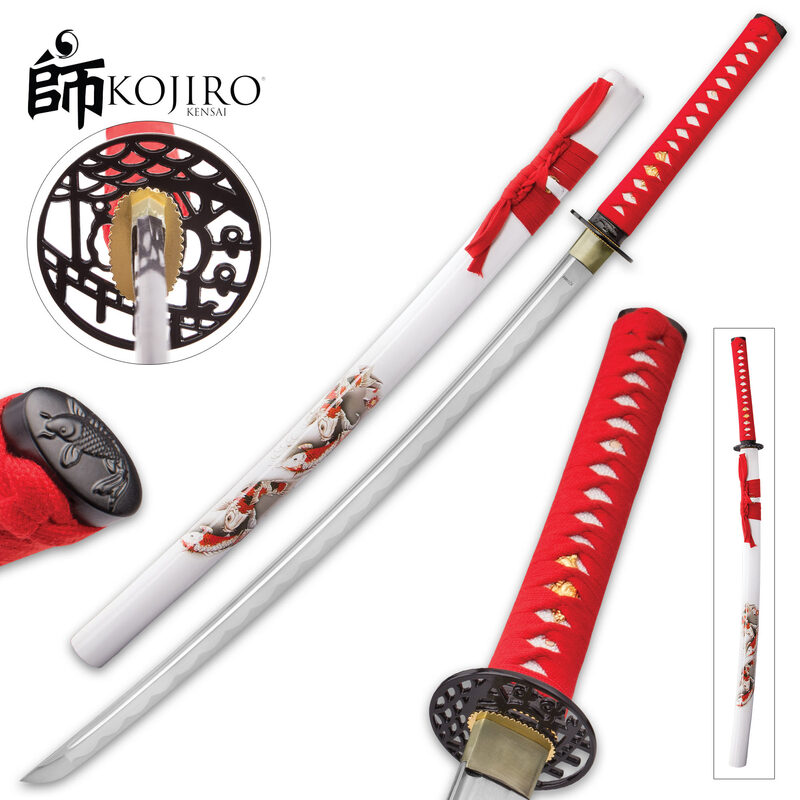 Don’t let this incredible looking katana get away from you because it will go quickly! Didn't know what I'd be receiving for the price, but WOW!! Beautiful. Straight. Sharp. Super light. The sword is excellent. 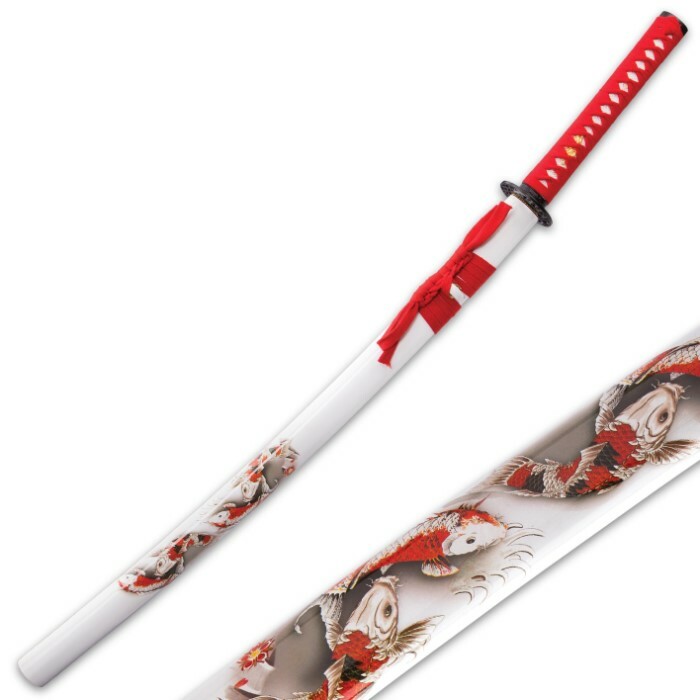 The scabbard is also beautiful. So glad I bought this one. Thanks BudK! 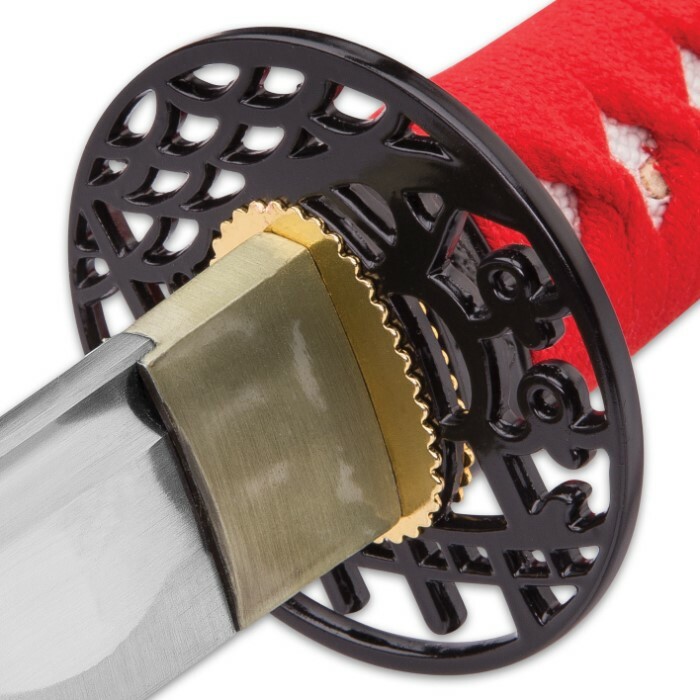 Bought this sword a couple weeks ago, very beautiful sword well worth what I paid for it very pleased, nice show piece, I will be buying more from bud-k, tks.